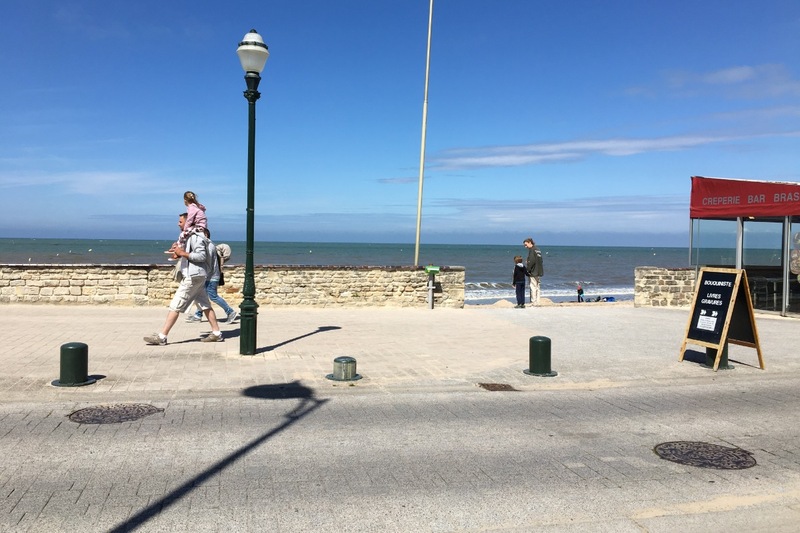 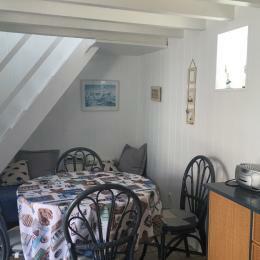 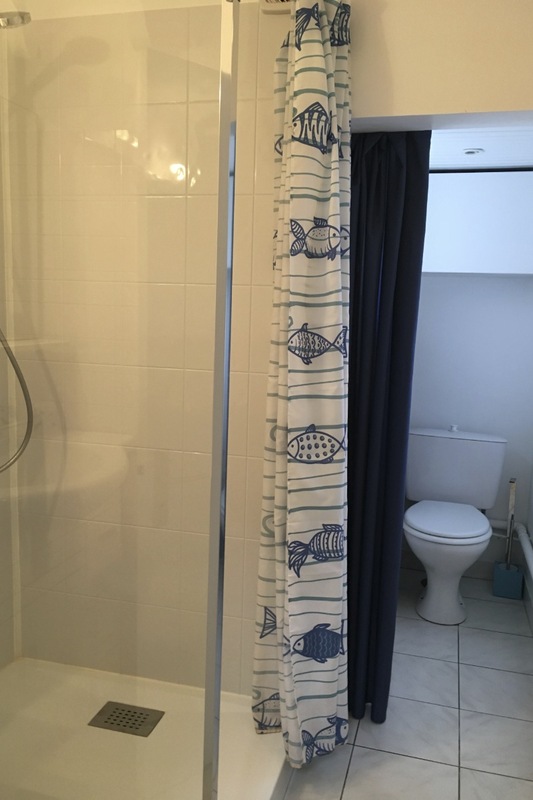 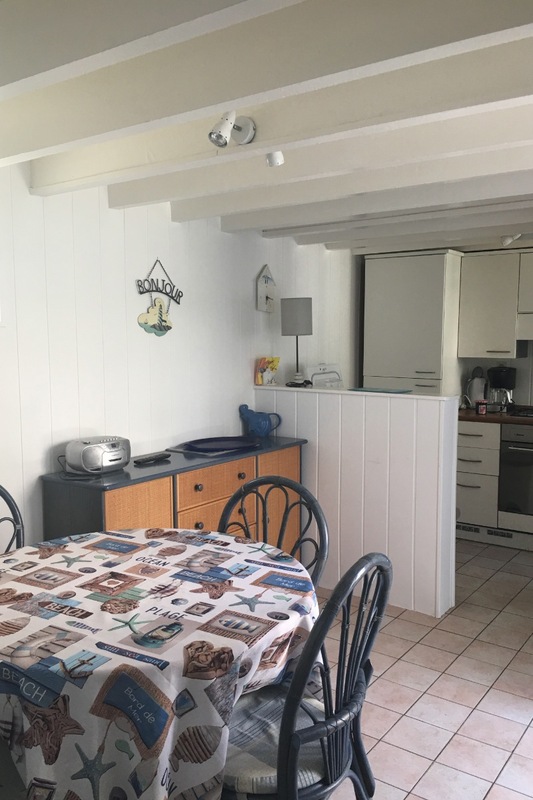 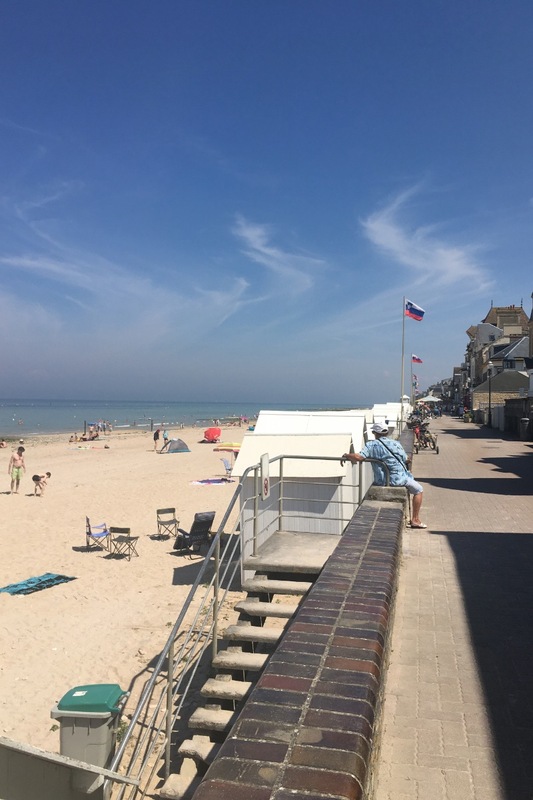 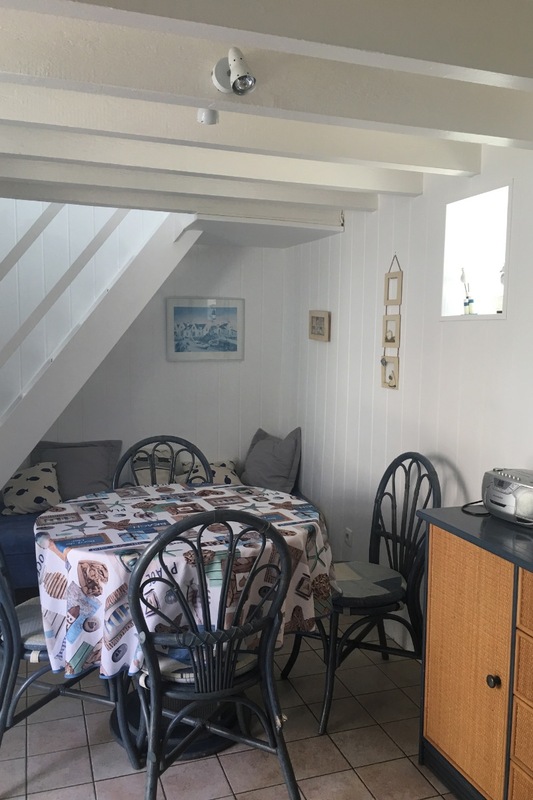 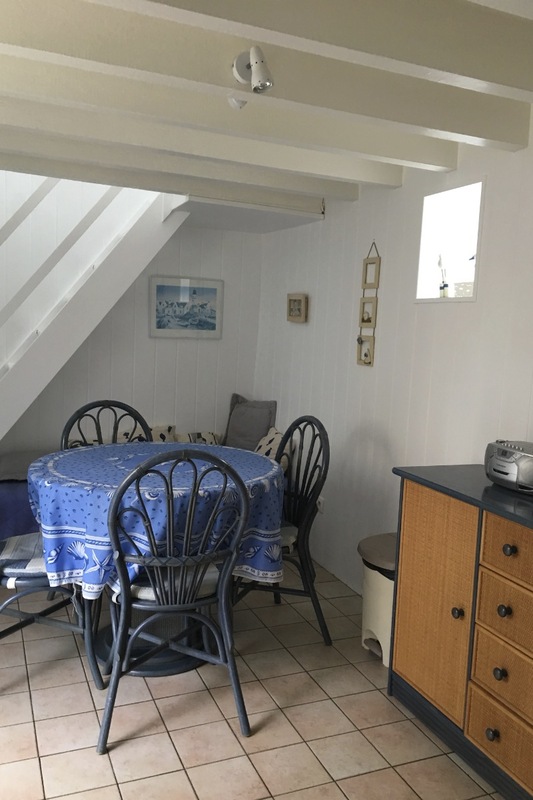 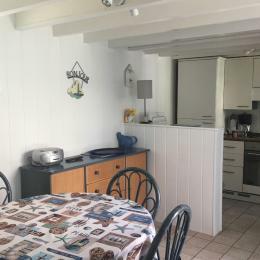 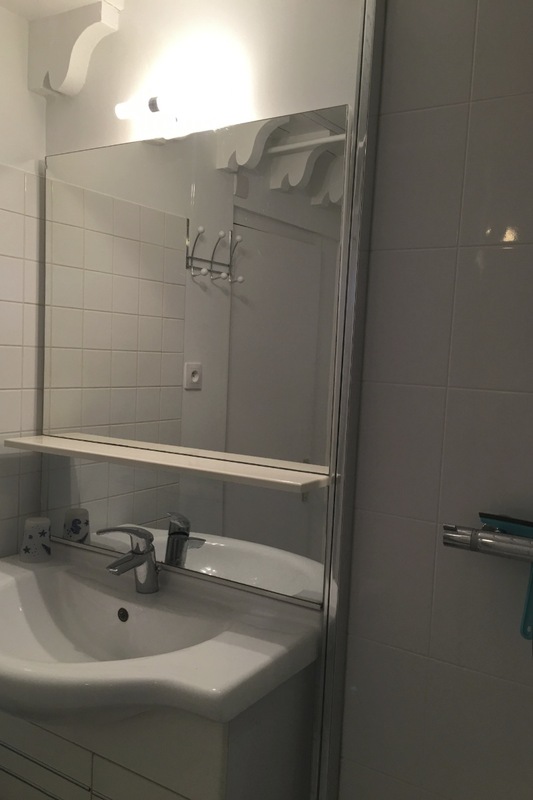 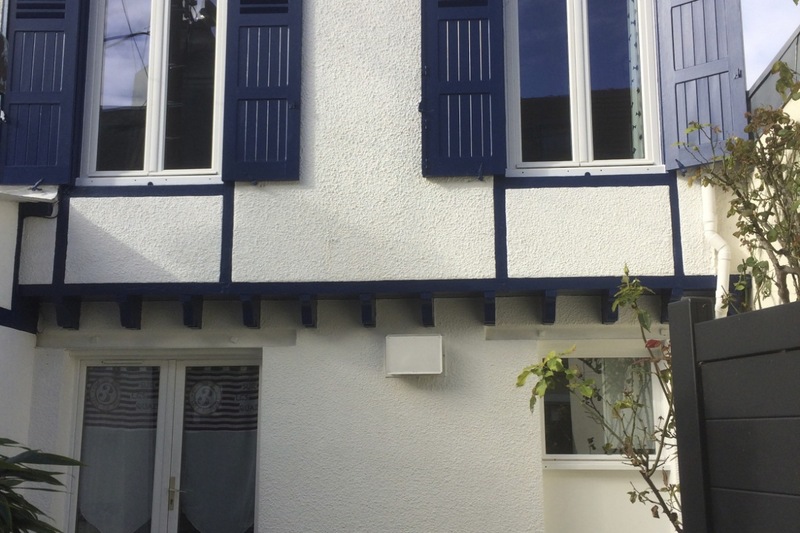 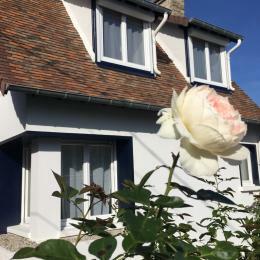 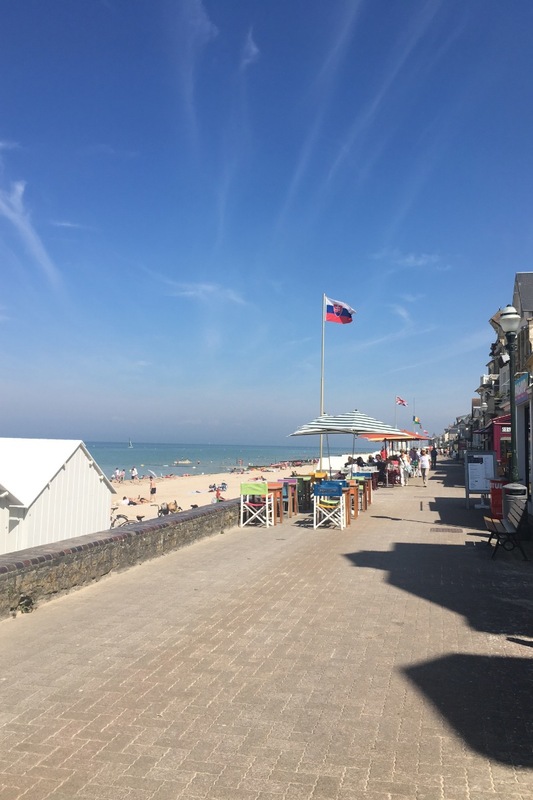 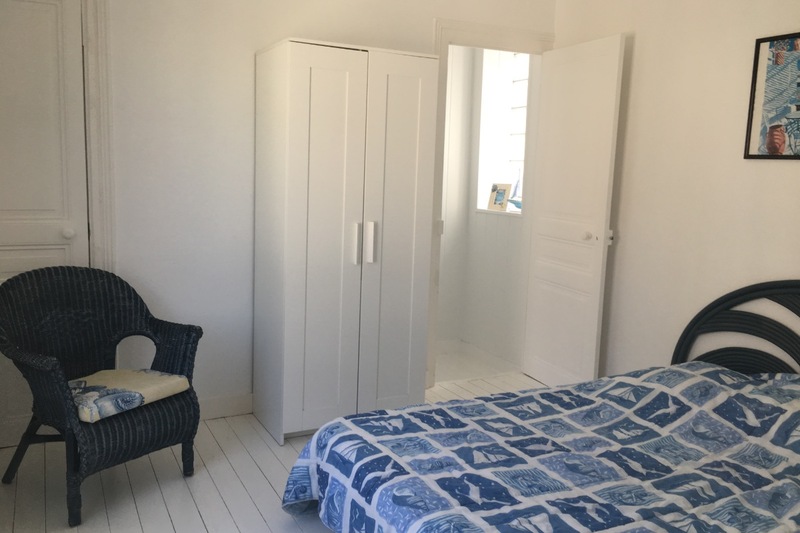 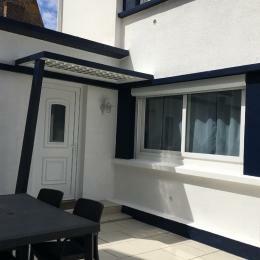 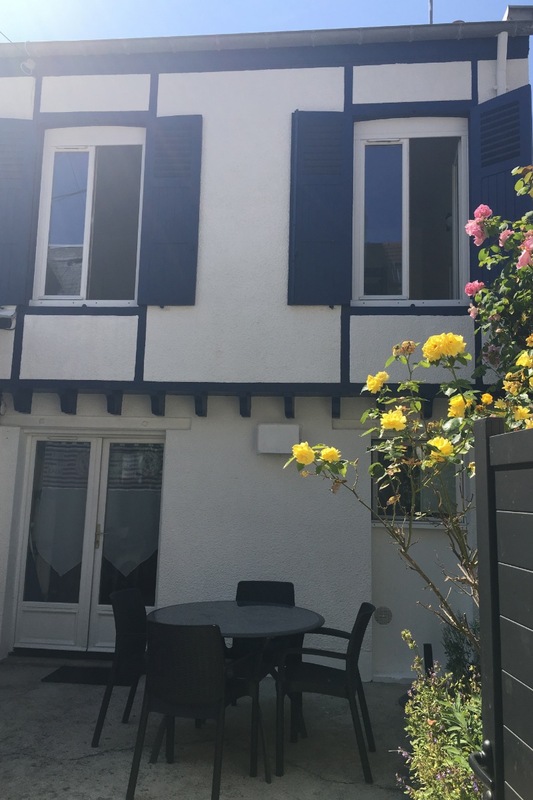 COTE BLEU - Small and prettily decorated house in a quiet location just 30 yards from the beach. 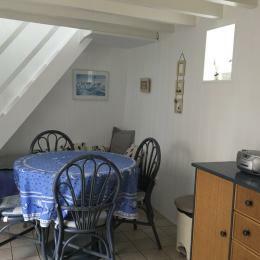 Ground floor: Open-plan kitchen (DW, WM, MW), lounge-dining room (satellite TV), bathroom with WC. 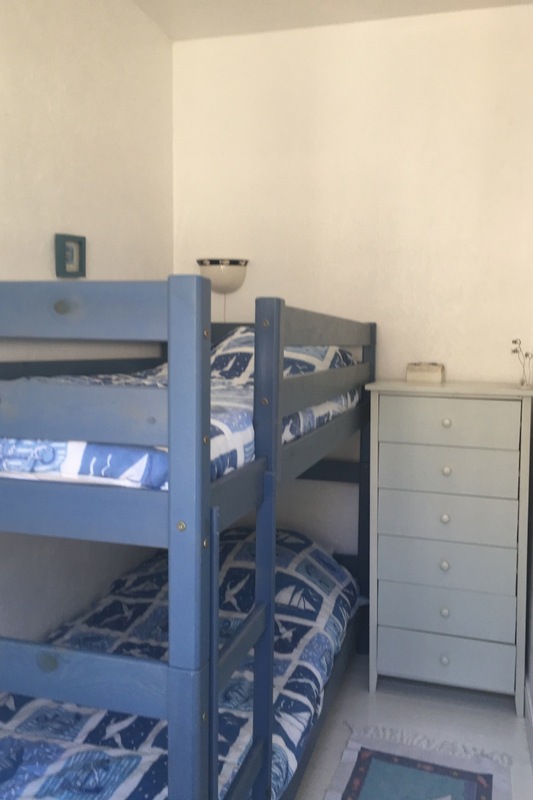 1st floor: 2 communicating bedrooms (1 with bunks, 1 with dbl bed). 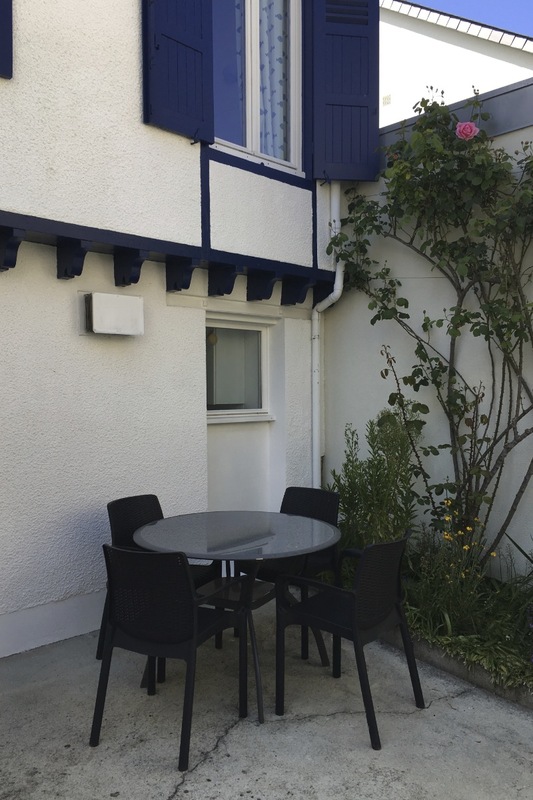 Closed courtyard with garden furniture and BBQ.